Instead of battling Black Friday madness in the stores on Friday, how about bombing down the slopes? Several ski resorts in California, including Mammoth Mountain and Squaw, are welcoming skiers and boarders with several feet of snow and some great deals to boot. Mammoth Mountain is offering a package that includes a fourth night free, available for arrivals through Nov. 24, while Squaw Valley announced on Tuesday that it’s opening 13 lifts for Thanksgiving weekend, including seven on the upper mountain, thanks to impressive early-season snowfall of about 7 feet and the resort’s improved snowmaking capabilities. Can’t get away on such short notice? No worries: Black Friday and Black Monday are beckoning with plenty of other adventure-heavy deals, including up to $2,000 off trips with operator Abercrombie & Kent, and a massive pre-Black Friday sale on Liftopia, the largest online marketplace for discounted lift tickets. 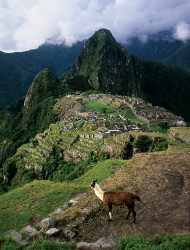 A&K’s sale includes eight of its world-class trips and starts at 9am EST on Monday, running through 5pm on Nov. 30. Examples of the savings: A six-day trip to Peru, including a visit to Machu Picchu, costs $2,285 per person – a savings of $1,000, while a spectacular 10-day trek through India for $1,895 represents a savings of $2,000 from the regular price. More bucket-list trips and big-time discounts to destinations including Antarctica, the Falkland Islands, and South Georgia are on offer from Quark Expeditions, which is offering a buy-one-get-one-free deal on select expeditions. The Antarctic Explorer: The Classic Adventure sets sail on Dec. 15, 2012 and on Jan. 13, 2013; while the Falklands, South Georgia, and Antarctica: Epic Antarctica sets sail on Dec. 11 and 26. The sale starts at 7:30am EST on Thursday, Nov. 22 and runs through 9pm EST on Nov. 27; enter promo code BLACKSHIPPING. Finally, and if you're one of those intrepid folks who plans on making Black Friday an excuse to break out the tent to get in line ahead of time, prep yourself first with this brilliant graphic/guide from REI.